The David Tepper era is truly underway in Carolina, as the Panthers made arguably the biggest news of the young season by signing former All-Pro safety Eric Reid to a one-year deal earlier today. Not only does it fill a position of dire need for the team, it also signals that Tepper is here to win, and will not succumb to outside pressure when it comes to how he will run his team. What a day to be a Panthers fan! With that out-of-the-way, lets look back at the win over Cincinnati with a critical eye and see what went right and what went wrong. The most glaring example of something that went right is the run game, specifically CMC’s 28 carry, 184 yard performance. Not only did he answer questions about his ability to carry a heavy load, he also answered questions about his ability to run between the tackles. CMC went 23-154 on plays between the guards! Part of that is due to McCaffrey getting North/South a with a little more purpose, but what I have been really impressed with so far is the play of the patchwork offensive line. According to Tim Weaver of msn.com, the team leads the league in yards before contact, which means the O Line is smoking the opponent’s D Linemen and LBs. Chris Clark has been an absolute find by Marty Hurney and the rest of the front office crew. He got bullrushed a couple of times on Sunday, and Carlos Dunlap really ate his lunch one time en route to Cam, but overall he has been solid in pass pro, and really good in the run game. Ryan Kalil looks like his old self, even getting out in front and mauling two Bengals defenders on CJA’s TD screen and run. Taylor Moton graded out at as the Panthers’ best offensive player by Pro Football Focus, and looks like the next in a long line of Pro Bowlers up front for Carolina. And I would be remiss if I left out rookie TE Ian Thomas, who the Panthers have been using like a pulling guard, leading CMC into the holes. Norv Turner and run game coordinator/O Line coach John Matsko have done a great job finding ways to block the run game absent three starting linemen, but it was really the execution up front on Sunday that got it done. The Panthers now lead the NFL in rushing, and Ron Rivera must be tickled pink. On the flip side, the run defense was not thoroughly tested on Sunday, as the Bengals somewhat abandoned the run in the second half. What we did have to watch, though, was not great. Although the Bengals only ran for 66 yards, they averaged 5.1 yards per carry, and were able to seal off running lanes on the left side of the Panthers’ defense for gains of 12, 23, and 22 yards. I expect the Panthers to improve once Thomas Davis returns, primarily because Shaq Thompson will likely stay on the field and Captain Munnerlyn will see fewer snaps. The other big story of the week is the Panthers’ defense being on the receiving end of four Andy Dalton passes. Since Thieves Ave. disbanded after the 2015 season, the Panthers were minus three in turnover differential entering the game Sunday. The secondary especially has struggled mightily to make those vital, game-changing interceptions that flip field position and help the offense out. In my opinion, Cam owes a large part of his success in 2015 to the fact that the defense handed him so many short field thanks to their 39 takeaways that year. Donte Jackson, who I felt didn’t play his best game against Atlanta, was stellar in this one. He ran step for step with Cincinnati speedster John Ross, and took the ball away in a one-on-one situation in Carolina territory Sunday. His second interception was a little luckier, but still a product of good coverage and outworking Ross for the ball. Jackson is tied for the league lead with three interceptions and looks like a legitimate star in the making. 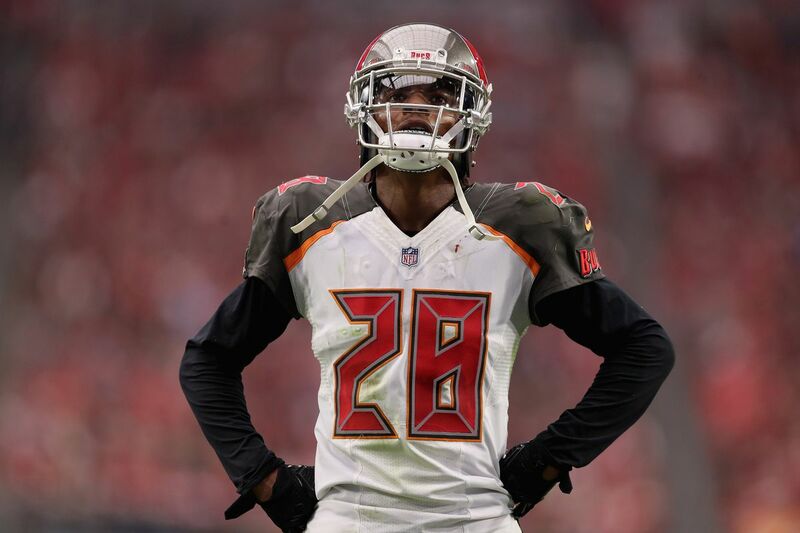 The Panthers will have him under his rookie deal for three more years (until 2022), so they now have a cornerstone piece around which to build a secondary that can rival the front seven. Not to be outdone, however, Efe Obada recorded an interception, a sack, and a near strip-sack that the officials overturned on review in his first NFL game ever. I’ve covered Obada’s story here before, and it’s an amazing journey to the NFL from Nigeria by way of London, where he was a homeless child. The league named Efe NFC Defensive Player of the Week this week. He only played 19 snaps, but showed above average speed off the edge, using a shoulder dip move to get past Bengals LT Cordy Glenn. He looks like a situational player for now, but if the Panthers can use him on third down and other passing situations to enhance the pass rush, it will pay huge dividends going forward. He is still relatively young, and has time to develop into a better run defender, but for now, we should be very happy that edge help fell out of the sky and into the laps of Eric Washington and Ron Rivera. A couple of other odds and ends from the game…DJ Moore played 33 offensive snaps, almost equaling his combined total from weeks one and two, but still only caught one pass for three yards on two targets. There are two reasons why I don’t see this as a big problem. The first is that the Panthers only threw the ball 24 times for 150 yards on Sunday. There just weren’t many targets to go around. The second is that Turner moved Moore all over the field with a variety of motions and shifts, which forces defenses to plan for a multitude of threats. At some point this year, I think we will see DJ Moore start to get the football in his hands more regularly, so there is no need to panic right now…also, Rivera put on his Riverboat hat with a (failed) attempt on fourth-and-four from the Cincinnati 41. Although the attempt failed because of a good play by Carlos Dunlap, the call to go for it in the fourth quarter with a seven-point lead was the right one. Many coaches (including Rivera in the past) would punt the ball away there and give the opponent a long field. With the way Michael Palardy has kicked since coming aboard two years ago, you could reasonably expect that he would put it inside the 20 at least. 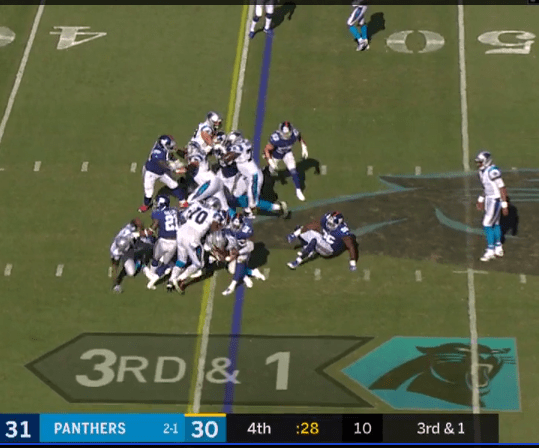 But the Panthers controlled the line-of-scrimmage all day long, and Cam’s unique ability to run and pass make the Panthers very difficult to defend in situations like this. Kudos to Riverboat, hopefully this is a sign of things to come. Back for a moment to Eric Reid. His signing comes at a great time, as DaNorris Searcy is on IR, and the Panthers head into a bye week. It’s hard to say how well Reid will play after sitting out for so long, but he is almost certainly an upgrade over Colin Jones. Mike Adams is a strong safety by nature, but the Panthers use both of their safeties somewhat interchangeably, so Reid should fit in well regardless of which label the team puts on him. But more importantly, the Panthers did the right thing. Regardless of where you stand on the anthem protests, you should respect that Eric Reid had the courage to back up his friend and teammate Colin Kaepernick in the face of immense pressure. And you’ve got to feel the same way about the Panthers’ organization now. It’s a nice break from the last days of the Jerry Richardson era, when there was so much ugliness surrounding the organization. I wish Eric Reid the best, not only because he could be an outstanding player on the field, but because he had his friend’s back in a time of need, and was willing to risk his career in the process. That is the type of guy you want in the trenches with you. Cheers to you, sir. 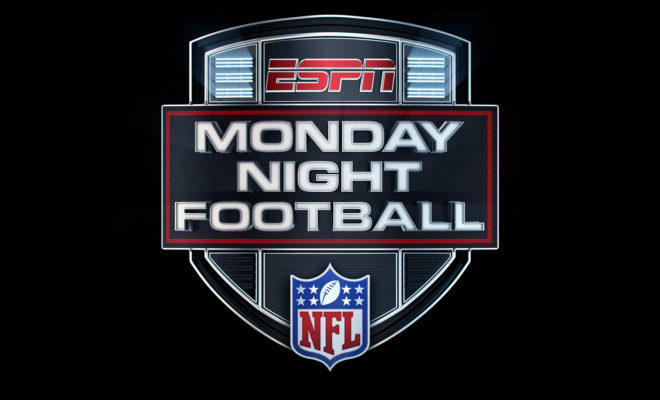 Even for a long NFL season, each game is extremely important for 32 teams in the league. This Sunday will be an early marque NFC South rivalry matchup between the Atlanta Falcons (1-1) hosting the New Orleans Saints (1-1). 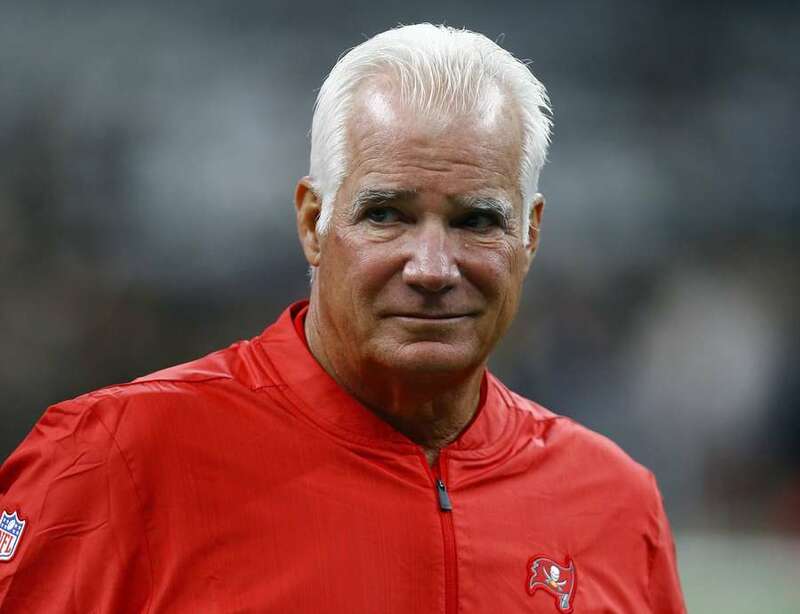 Both teams are looking to continue their rebound losses from week 1 and make that push for the NFC South divisional title that the Tampa Bay Buccaneers are currently on top of. The New Orleans Saints are usually efficient all-across the board on offense and defense. In week 1’s loss at home to the Tampa Bay Buccaneers, the Saints defense to stop backup Quarterback Ryan Fitzgerald from scoring. 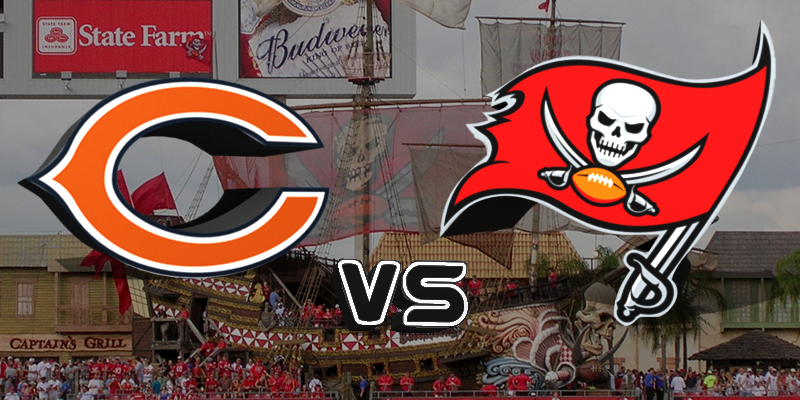 The Saints would lose to the Bucs with a 48-40 score. The Saints almost lost to the Cleveland Browns because their offense couldn’t ignite a spark. The Saints were spared of an upset with a 21-18 victory because the Browns’ Kicker in Zane Gonzalez was horrendous with two field goals and two missed extra-points. For the 5th straight season, the Saints have started out with an opening season loss including the last four seasons starting out at least 0-2. Last year, New Orleans did finish out the regular season with an 11-5 record including an NFC South divisional title. This Sunday, the Saints will need to have their entire team from the offense, defense, and special teams all play efficiently against this highly-talented Falcons team. There are many areas where the Saints must match systematically so they do not face a 0-2 record in the NFC South division race. With Running Back Mark Ingram still suspended for two more games due to PED substance abuse violations, the Saints are last (32nd) in the league in rushing yards per game (52.5). This isn’t a nod that RB Alvin Kamara isn’t ready for 1st string reps, but the Saints are trying out Kamara as an extra Receiver in the backfield. The Saints offense is ranked 6th in the league in points per game (30.5) and 4th in passing yards per game (322.5) but last week was a step back against the Browns defense. New Orleans is looking for more consistency in their passing game outside of WR Michael Thomas. In just two games this season, Thomas has accounted for 269 yards and 3 touchdowns on 28 receptions (an NFL record in two games). Despite Thomas being an elite Receiver in the league with elite Quarterback Drew Brees leading the helm, the Saints will need more impact from their other Receivers. Falcons CB Robert Alford will try to lockdown Thomas along with a Linebacker or Safety in zone coverage. RB Alvin Kamara is the Saints’ 2nd top Receiver with 15 receptions for 165 yards and a touchdown. WR Ted Ginn Jr. has accounted for 9 receptions for 123 yards and a touchdown but experiencing issues with his knee. Tommylee Lewis is listed on IR due to a knee injury and may not be back until week 11 against the Philadelphia Eagles. This will leave TE Benjamin Watson, WR Austin Carr, and rookie WR Tre’Quan Smith not creating much of an impact. With Alford and a zone player in double-coverage on Michael Thomas and a talented Falcons D-Line and Linebackers reading Kamara in the backfield, the Saints other Receivers will need to step up to create or continue consistency for the Saints passing game. This is a Falcons defense that ranks 10th in the league in passing yards allowed per game (218.5). One of the biggest reasons for the Saints’ high-power offense, besides Brees and Thomas, is their consistent and efficient Offensive Line. Pro Football Focus ranked the Saints O-Line as the top performing Offensive Line unit in the league after only two weeks. 2nd year Ryan Ramczyk has been a solid blocker for the Saints since he was drafted in the 1st round (32nd selection) of the 2017 NFL Draft. This season, however, has been a huge boost for the Saints’ blindside pass protector in LT Terron Armstead has been incredible for the offense. Last week against the Browns was one of his best performances so far this season as he was graded 86.3 against DE Myles Garrett in pass protection. The Saints Offensive Line will have a huge task ahead of them against this Falcons defense that is looking for more pass rush. The Falcons defense is tied for 19th in the league in sacks accounted for with 4 total sacks. Falcons DE Takkarist McKinley has accounted for 2 total sacks so far this season but he hungry to put his name into the category of the top pass rushers in the league. The Saints also need to watch out for DE/OLB Vic Beasley Jr. and DT Grady Jarrett, who will be lined up over Saints G Andrus Peat. The Saints Secondary will need to focus on the Falcons multi-talented Receiver Corp. The Atlanta Falcons have a talented Receiving Corp of their own led by WR Julio Jones. The Falcons also made the addition of former Alabama Crimson Tide WR in Calvin Ridley, who was drafted in the 1st round (23rd pick) in the 2018 NFL Draft. Jones and Ridley, along with Mohamed Sanu and Austin Hooper makes a great set of targets for Quarterback Matt Ryan. This Falcons offense has not reached their full potential since they played two aggressive defenses in the Philadelphia Eagles and the Carolina Panthers so far this season. The Falcons are currently ranked 16th in passing yards per game (248.5) and 20th in points per game (21.5). In two games this season, Jones has accounted for 233 yards on 15 receptions (28 targets) but no touchdowns. This is likely to change as the Falcons Offensive Coordinator Steve Sarkisian is still looking to have Jones create more of an impact in the red zone. The Saints star Cornerback Marshon Lattimore is performing like one of the most talented coverage players in the league after winning NFL Defensive Rookie of the Year last season. Lattimore can lockdown Jones without extra help, the problem when facing the Falcons passing game is the other tools they have. On the opposite side of the line of scrimmage, Ridley can set up long-yard receptions and Sanu is an excellent provider of yards and first-downs as an inside receiver. The Saints will need consistent coverage from all their Defensive Backs and Linebackers in coverage. This season, the Saints have not accounted for the same impact as they did last season. In two games, the Saints defense is ranked 30th in points allowed per game (33) and 29th in passing yards allowed per game (325.1). Last year through the first two games of the season, the Saints were dead last in passing defense and fixed it’s to be an above average defense. There will be time for the Saints defense to fix itself in the passing game, but it starts with the deep game with the Saints other Cornerback in Ken Crawley. Lattimore is a great Cornerback because he can cover in any range of yardage, but Crawley is mostly efficient in short-yardage. He is a Corner who can get beat deep through fast and explosive Receivers in the Vertical route. If the Saints want more efficiency in defending the pass, the Saints will either need better deep coverage from Crawley as the sole coverage player or put a Safety like Marcus Williams in support for a Falcons Receiver like Calvin Ridley. We got a good look at the defense in the season opener against Dallas, but let’s take a closer look. The 2017 defense posted a DVOA of -8.8% (negative numbers are better for defenses), good for 7th in the NFL. The Panthers have maintained a Top 10 defense in four of the last five years, with the only exception being 2014, when they were 15th overall. Defensive coordinator Steve Wilks was a fantastic replacement for Sean McDermott, who moved on to become the head coach in Buffalo. Now Wilks is the head coach in Arizona and the Panthers promoted defensive line coach Eric Washington to the DC position. Washington spent seven seasons as the defensive line coach for the Panthers, and developed one of the best units in the league. Most of the core of a very good unit returns, with a few new faces, but overall it is a familiar outlook for Panthers fans: the front seven looks very strong, and there are questions in the secondary. Starting up front, the interior defensive line should be very good. Last year, the unit was dominant according to Football Outsiders’ advanced metrics. They ranked fifth overall in Adjusted Line Yards (essentially how much of the opposing team’s yards per carry were given up by the defensive line as opposed to, say, linebackers or defensive backs missing assignments or tackles), second in Power Success rate (how often did opponents convert on downs with 2 yards or less to go), and fourth in Stuffed percentage (how often did the Panthers stop the opponents for no gain or a loss). That’s a lot of words to say the Panthers D-Line didn’t take mess off nobody last year. Expect similar results this year. Kawann Short made his only Pro Bowl in 2015, but continues to play well against the run and pass. He has 24.5 sacks over the last three seasons and 8 passes defensed. He also has 37 tackles for loss during that time. His numbers have gone down since his dominant 2015 season, but that is mainly due to the fact that he sees more attention from opponents now. That will likely change this season, as Dontari Poe joins the D Line from Atlanta on a 3yr/$28m contract to replace Star Lotulelei, who signed a huge deal with Buffalo. Poe is 6-3, 346lbs, and has good athletic ability (4.98 40 yard dash). His numbers aren’t eye-popping, but what he brings to the table isn’t easily quantified. This article from last offseason on Arrowhead Pride (Chiefs blog–Poe was previously with KC), does a good job showing that Poe is valuable for his general stoutness against the run, decent pass rush ability, and due to the fact that he is a three-down player. Based on that, I think he is in a great situation in Carolina because he will be the guy freeing up Kawann Short to make plays, not the guy who the Panthers expect to make the plays. Poe has played 80 straight games, so injuries have not been a big problem. Combining Poe with Short will give the Panthers one of the best interior line combos in the game, which fits Ron Rivera’s philosophy of creating pressure up the middle. The backups are Big Vern Butler and Kyle Love. Butler was the Panthers’ first round pick two years ago, and always seems on the verge of becoming really good, but just hasn’t gotten there. Part of that is due to the fact that he played behind Short and Lotulelei for two years. He has the physical attributes (6-4, 330) and athleticism (5.15 40 time, 29.5″ vertical jump) to be a force on the D Line, yet he was inactive on game day as recently as the middle of last season. When the Panthers drafted Big Vern, it felt like an insurance policy for when they lost either Short or Lotulelei in free agency. Well, that happened and the Panthers signed Poe, which leads me to believe they don’t believe Butler is ready to be a full-time starter. He is also facing charges of assaulting a woman, which could affect his availability at some point. Kyle Love is a solid veteran with 13.5 career sacks. He is not spectacular, but the Panthers like to rotate their D Linemen quite a bit to keep them fresh, and Love is very reliable and gives them plenty of snaps. He will be a free agent at the end of the year, and it will be interesting to see if the Panthers can resign him. At defensive end, Julius Peppers will return for what surely will be his last season before calling it a career–unless, of course, he decides to come back again in 2019. And who could blame him if he did? He threw down with 11 sacks despite playing only half of the Panthers’ defensive snaps in 2017. He is a sure-fire first ballot Hall-of-Famer, and will likely give the Panthers some production again this season in a limited number of snaps. Mario Addison also had 11 sacks last year, and has lethal speed coming off the edge, but average run support ability. The yin to Addison’s yang, Wes Horton does not produce much in the way of pass rush (though he did deliver a sack in Week One), but continues to hum along as an underappreciated run-stopper. Those two plus Pep account for most of Carolina’s returning experience at end. Long-time Panther Charles Johnson retired before camp opened this year, and while it’s certainly sad to see him go, injuries had limited his ability to help the team the last two seasons. Johnson’s retirement plus a reduced workload for Pep means that there will be snaps available, and one or more of a group of unproven players must step up and contribute this year. The leading candidate is Bryan Cox, son of former NFL linebacker Bryan Cox. The younger Cox played 129 snaps for the Panthers last year as an undrafted rookie–perhaps more a testament to the lack of quality depth at end than anything else–so he gained some valuable game experience. Per his NFL.com draft profile, Cox is an average athlete (relatively speaking–the man is 6-3, 260 and runs a 4.9 second 40) and needs some coaching up, but should offer a relatively high-floor/low-ceiling option and eat up some snaps without being terrible. There’s inherent value in that alone, especially as the season drags on and injuries pile up. Marquis Haynes is a rookie fourth-rounder out of Ole Miss who projects as a pure pass rush specialist in the NFL. He will need to add size to his 235-lb frame, but runs a 4.67 40-yard dash. He will likely see the field on third downs and other passing situations if the Panthers use their version of the NASCAR package this year. Finally, the most interesting member of the 53-man roster, Efe Obada, has a story made for the movies. Seriously, click that link and read about this guy if you haven’t already done so. I have no idea what to expect from him on Sundays this year, but my gut tells me he is least likely of these three to consistently contribute. With that said, I may blow a gasket if he rips off a huge fourth quarter sack in a tie ballgame. Seriously, if you can’t get behind this guy, I got nothing for you. Go click that link, for real. The linebackers are also among the best in the NFL. Luke Kuechly went to his fifth consecutive Pro Bowl last year, and landed on the first team All-Pro list for the fourth time. His list of accolades continues to grow, and he looks likely for Canton one day if he can stay healthy. His concussion history is troubling. But he is the best linebacker in the NFL, and the linchpin for the Panthers’ defense. Joining Luke as a stalwart on the fantastic defenses of the past five years, Thomas Davis continues to amaze with his play well into his 30s, and having overcome three devastating knee injuries. TD will miss the first four weeks of the season because of a suspension for a banned substance. He initially indicated he would retire after this season, but now says he may play another year. Shaq Thompson will get the chance to play more while TD serves his suspension, and he can become a star. He is one of the fastest linebackers in the league, and has gradually improved in the last two seasons. His nine tackle performance against Dallas (including a sack) seems to indicate that this will be a breakout year for him. Athlon Sports recently named Kuechly the top MLB in football, while naming TD the #6 OLB and Thompson the #8 OLB. Expect the LBs to be the heart and soul of a very good front seven yet again. The backups are David Mayo and Ben Jacobs, who have both been with the team for a while and are capable special teamers and can play some snaps if required. Rookie additions Andre Smith and Jermaine Carter had good camps, although Smith had a hamstring injury during the preseason. Both should contribute on special teams. For as long as the front seven has been great, the secondary has been a question mark. 2015 notwithstanding, when Josh Norman led Thieves Ave., the Panthers have never found consistently good cornerback play. They shipped off former third-round pick Daryl Worley in the off-season to Philly in exchange for Torrey Smith, and not a moment too soon. 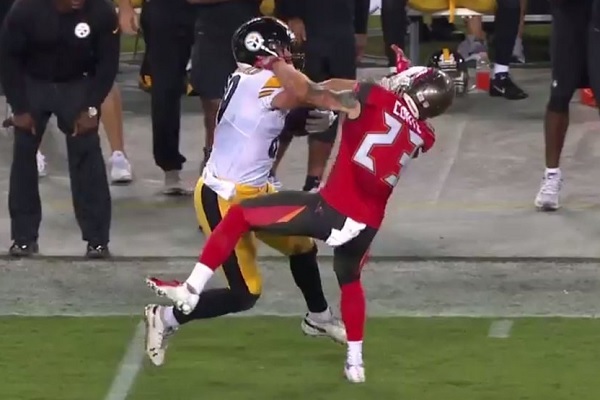 Worley’s play had been inconsistent, but shortly after the trade, he got into some trouble with the law that ultimately put him in jail and on probation. The Eagles sent him packing, and he’s now with Oakland. His draft classmate James Bradberry has been better, but must be more consistent this year. Bradberry often covers the opponent’s top receiver, and that is notoriously difficult in the NFC South. He will need to improve his ball skills, as he only has four career interceptions. Rookie Donte Jackson played well opposite Bradberry in Week One, and offers top end speed and the swagger that has been missing from the Panthers’ secondary since Norman left. Kevon Seymour is the other outside corner, but his Pro Football Focus grade was the lowest of any Panthers defensive regular last year. Jackson must play well early on for this unit to be good. Captain Munnerlyn returns in the slot after his well-publicized lack of playing time and subsequent saltiness about it last season. Munnerlyn played 54 snaps against Dallas in Week One, so there is some salve on the wound, but expect that when TD returns, Shaq Thompson will continue to stay on the field and Munnerlyn will be the odd man out. Corn Elder is a young guy who will likely see his playing time increase as the season goes on. He is a slot corner. At safety, many expected rookie Rashaan Gaulden to see a lot of time, but Week One saw Mike Adams dominate snaps while Da’Norris Searcy and Colin Jones split time at the other spot. Adams, 37 (you always have to point out his age) played well last season, and is reliable in run support. Searcy came over from Tennessee, where his PFF grade was average, but he looks like an upgrade over Kurt Coleman, who was a liability in coverage last year. Gaulden is an intriguing prospect who played corner in college, but has moved to safety with the Panthers. He projects as the long-term solution at free safety. The Panthers absolutely have to get contributions from the guys they brought in this past off-season. If that happens, this defense could be Top 5. If not, they should still be a Top 12-15 defense at worst, but an injury or two up front could easily derail that. Panthers fans have to be feeling a bit down despite the 16-8 win over Dallas on Sunday. Don’t get me wrong, winning your home opener is a great feeling, especially when it’s against the Cowboys. My father-in-law and my best man from my wedding are Cowboys fans, and I just really wanted the Panthers to win this one. The carnage left behind by this win is definitely cause for tempered jubilation, though. 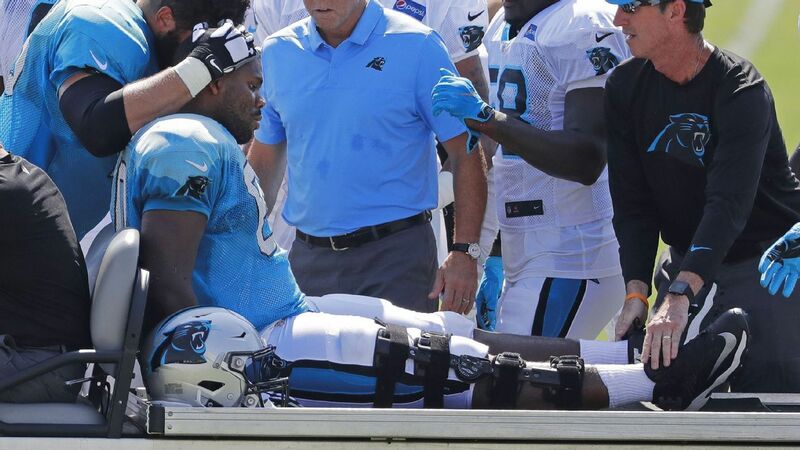 First, there were key injuries to Greg Olsen, Daryl Williams, and Trai Turner. We also saw our old nemesis, the conservative offense that we have come to know from the Panthers when they get a lead, and once again they allowed an opponent back into a game that the Panthers had been controlling. There were bright spots, as the defense and–you may need to sit down for this one–the special teams were good, and played a big part in this win. Overall, there was more to like than to not like, but the injuries and offensive risk aversion pose significant concerns leading up to this Sunday’s division showdown in Atlanta. All advanced stats are from Football Outsiders, and traditional stats are from ESPN. Let’s get to the injuries first. G.O. looked really good early on, catching his first two targets for 33 yards and two first downs. He re-injured the same foot that caused him to miss eight games last year, but Jourdan Rodrigue of the Charlotte Observer is reporting that the team will not use an IR spot on Olsen, instead opting to keep him on the roster in hopes he can return after “a few” weeks of rest. Yikes. Olsen showed what a valuable asset he is to the offense when he is at full strength by corralling a couple of throws down the middle of the field before his injury. Young TEs Chris Manhertz and Ian Thomas played about 40 snaps each, but neither produced much. The main beneficiary (if you’re an optimist) of Olsen’s absence should be Devin Funchess. Funch played 57 snaps on Sunday and saw five targets, producing three catches for 41 yards. I think it is critical that Funchess picks up where he left off last season and gives Cam a reliable big target down the field. The Panther offense is at its best when Cam makes big plays in the passing game down the middle of the field and that is the biggest cost of losing G.O. Cam went 2/5 for negative 7 yards on third downs on Sunday, which tells me that the team is taking the ball out of his hands when it needs him the most. As if the Panthers needed any more bad news on the offensive line, Daryl Williams re-injured his right knee and Trai Turner is now in the concussion protocol. Williams had torn the MCL and dislocated the patella in his knee early in camp, and I was skeptical that he was healthy enough to suit up in Week One. I’m sure the Panthers’ medical staff did their due diligence with Williams, but in light of his re-injury, it begs the question of whether he was ready to play. Williams will undergo surgery and is likely to go on IR, per Rodrigue’s report. Turner played all 67 offensive snaps but has since entered the concussion protocol. If Turner can’t go on Sunday (which I think we would all support given the long-term effects of concussions), the line will be missing three starters. 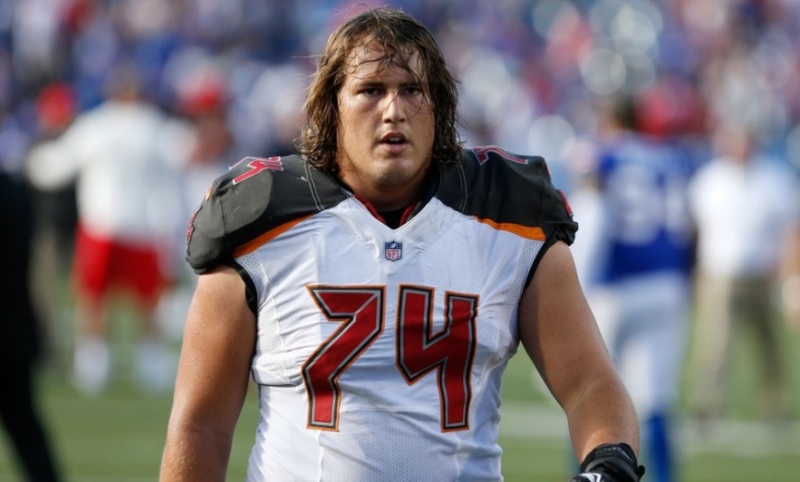 The Panthers signed veteran free agent Chris Clark, who last played for Houston in 2017. Clark can play both tackle spots, and has 53 starts in 108 career games. I expect to see Taylor Moton at LT, Greg Van Roten at LG, Ryan Kalil at C, Tyler Larsen at RG, and either Clark, recent acquisition Corey Robinson, or old standby Amini Silatolu at RT. Silatolu took the 13 snaps after Williams went down Sunday, and he has the most experience in the offense. He has also been a train wreck when on the field, so if Robinson or Clark are up to speed, perhaps we will see one of them. The injuries to the offensive line are not the only negatives to come out of this game. The Panthers opened up in the first half with several nice throws down the field, and Cam was able to do whatever he wanted in the run game. The offense produced 209 yards and 11 first downs. The average time per play was 26.7 seconds, good for twelfth in the league. With a 10-0 lead, the Panthers decided to slow things down and get super conservative in the second half. The offense only produced 84 yards and 7 first downs in the second half, and average time per play went up to 33.9 seconds, dead last in the league. Losing G.O. obviously affected the passing game, but this is a problem that Panther fans have become accustomed to dating back at least to 2015. Since it has now bridged two coordinators, I assume that it’s Ron Rivera dictating a strategy of sitting on leads and going in the tank in the process. Cam went 2/5 for negative 7 yards on third downs on Sunday, which tells me that the team is taking the ball out of his hands when it needs him the most. If Rivera and Turner don’t trust Cam to throw the ball down the field, the offense will continue to stall. And building a lead and then trying to punt and play defense to hang on to a win is a strategy that I think will bite the Panthers this year. The offensive numbers were not great, and part of that is probably due to the aforementioned “play-not-to-lose” strategy. Cam was 15th in Defense Adjusted Yards over Average (DYAR), behind Case Keenum of all people. 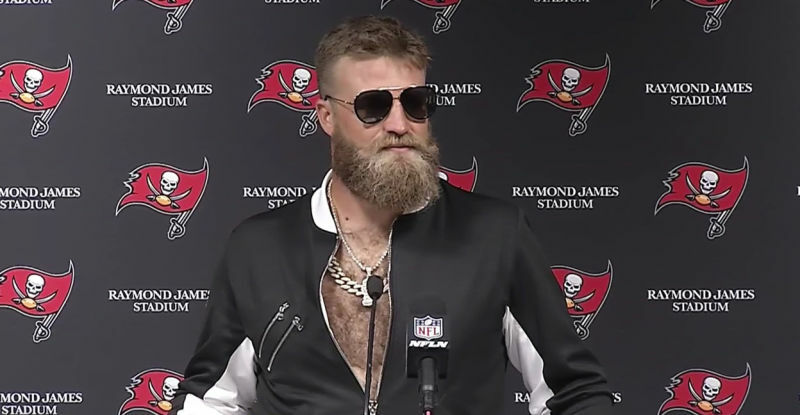 His line of 17/26 for 161 (no touchdowns, no picks) was not terrible, and when you tack on the 58 rushing yards and a TD, he played well enough for a win. But I just can’t shake the feeling that the Panthers are not getting the best out of Cam. Christian McCaffrey ran 10 times for 50 yards, and added 6 catches for 45 yards, but his fumble inside the 5-yard line on the opening drive was just brutal. His minus 11 DYAR as a runner means that the Panthers would have been better off starting just about any NFL backup. I’m not sure I necessarily agree with that, but CMC has yet to live up to the number eight overall pick the Panthers spent on him last season. CJ Anderson gained 35 yards on his 7 carries and registered a DVOA of 29.8%, but only played 12 snaps. As versatile as CMC is, and with G.O. now definitely down for a while, I’d like to see more of CJA and CMC on the field at the same time. Not only will it disguise the Panthers’ intentions (7 carries on 12 snaps is an indicator to the defense that when CJA is in, he’s likely to get the rock), but it gets more play makers on the field together at the same time. The receivers were not good, with Funchess finishing 39th in DYAR, and Jarius Wright finishing 71st, likely due to his nearly disastrous fumble in the second half. Torrey Smith played 51 snaps, but only had two targets and one catch. Curtis Samuel did not dress as he deals with medical issues, and Damiere Byrd didn’t play an offensive snap although he did leave the game with a knee injury. Rookie first-round pick DJ Moore only played 17 offensive snaps and did not see a target come his way. With the emphasis on “giving Cam more weapons” this off-season, it seems like the staff is failing to put those playmakers in position to make plays, including keeping the younger (and more explosive) guys on the bench. The Panthers will have to work DJ Moore into the rotation and throw some deep balls to Torrey Smith if the offense is to play at a championship caliber. Defensively, the Panthers were very good on Sunday posting six sacks on Dak Prescott and holding Zeke Elliott to 69 yards on 15 carries, and posting the fourth best yards allowed per drive average (21.3). Dallas does not project to have a fantastic offense this year, but holding them to 232 yards and eight points is a big win for Carolina. Dallas found more success running right than they did up the middle or to the left, and that makes sense because they had Zack Martin and La’el Collins on that side working on Mario Addison, who’s a really good pass rush end, but is only average against the run. On the left side, KK Short absolutely terrorized rookie LG Connor Williams to the tune of two sacks and four QB hits. Wes Horton delivered in pass rush with 1.5 sacks and two more QB hits, and delivered a tackle-for-loss in the run game. Over the course of the game, the Panthers D Line seemed to wear Dallas’ O Line down, culminating in the sack/fumble that sealed the deal. Julius Peppers only played 24 snaps, which is a good thing, and Bryan Cox played 25 snaps. If Cox can deliver 25 solid snaps per game, the Panthers will likely continue to have second half success rushing the passer as the rotational D Line guys are just fresher than the opponent’s O Linemen, who play every down. Rookie Donte Jackson played every defensive snap at corner, made five tackles and held up in coverage. Panthers fans should be very, very excited about that, because as we talked about in the defensive preview piece, stability at outside corner is something the Panthers desperately need. The special teams were good for the Panthers, and would have been really good were it not for a botched PAT attempt. Specifically, the punt and punt return teams did their jobs well, and it reflected in the Panthers’ average starting field position (own 38, 3rd best in the league on Sunday), and the Cowboys’ (own 21, 30th). Michael Palardy has been a great find for the team, as he averaged 47.8 per kick and dropped three of six punts inside the 20 with one touchback. 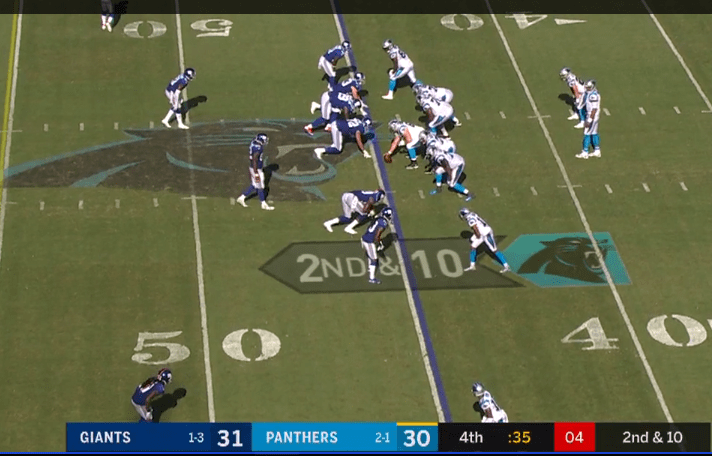 This is a part of the game that is so often overlooked as we use the punt as a way to extend the commercial break and give ourselves more time to visit the fridge, but for a team like the Panthers who look to win by playing stout defense and not beating themselves (i.e. being very conservative) on offense, winning field position is a must. The punt return team also shined, as Byrd and DJ Moore combined for 62 yards on 4 returns, better than 15 yards per attempt. The Panthers have not had an explosive punt return man in some time, and new special teams coordinator Chase Blackburn certainly appears to have options in that regard now. 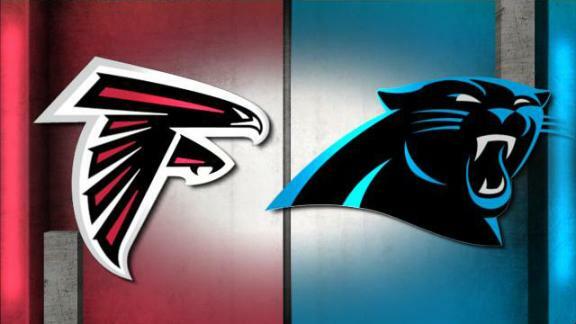 Looking ahead to this Sunday at Atlanta, Vegas has the Panthers as 2.5 point underdogs. The biggest theme of this game will be injuries. We covered the Panthers’ big dogs that will not play already, but the Falcons will match that with two of their top defenders and a big piece of their offense. Safety Keanu Neal and LB Deion Jones are both on IR, and RB Devonta Freeman has a knee issue that has kept him out of practice all week. Offensively, Matt Ryan played really poorly last week at Philadelphia. His 21/43 for 251 yard, zero touchdown/one interception game produced a QBR of 12.7 and a DYAR of minus 128. The only starting QB that played worse according to Football Outsiders was Nathan Peterman. Ouch. Matty Ice looked to Julio Jones 19 times on Thursday night, and had great success (10/169), but the Eagles adjusted by bringing a defender underneath Jones’ routes in the second half. Julio has destroyed the Panthers historically, and this will be a good early test of Donte Jackson and the rest of the new additions to the secondary. The Falcons defense did a decent job against the Eagles, particularly against the pass (10th in DVOA, only 119 yards allowed), but that was against Nick Foles. The Eagles were also able to run the football with some success, especially in the second half. The Falcons surrendered 113 yards and 2 TDs on the ground, and ranked 25th in DVOA against the run. Losing Jones and Neal will hurt the run defense, but also the pass defense, since Jones is one of the best coverage LBs in the league. This would look like a juicy matchup, but with the injuries up front and without G.O. to exploit the mismatch against Jones’ replacement, we have to wait and see if the Panthers can open up the offense enough to get a win. Stay safe during Florence, Panthers fans!